Whitney and Tyler met at their final KA Bid Day party at Ground Zero in Clarksdale, Mississippi through a mutual friend in the Fall of 2015. Whitney mentioned thinking he was cute, so her sorority sister introduced them...three times. A week later, Tyler asked Whitney to his date party. If you ask Whitney, she’ll tell you he asked because he wanted to thank her for picking him up from the square one night. Ask Tyler, and he’ll let you know he asked her because he knew Whitney was more than a dependable ride home. Turns out Tyler was right, and the two became inseparable. Two years later, from a high-rise overlooking Whitney’s hometown of Little Rock, Arkansas, Tyler got down on one knee and asked that magic question. They celebrated with friends and family, then began planning. 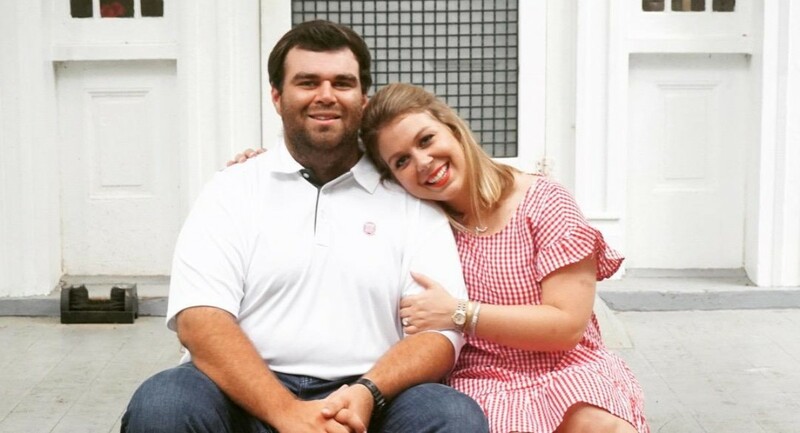 Whitney and Tyler look forward to continuing the celebration with those they hold dearest as they become Mr. and Mrs. Sweeney in Oxford, Mississippi on March 23, 2019.